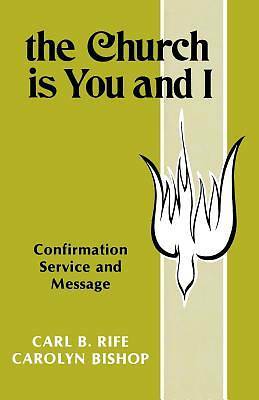 "The Church Is You and I "is a simple but significant Confirmation service and message. The service reflects on the meaning of Confirmation in terms of our relationship to the church. Confirmation is seen as covenant -- an affirmation of our new covenant with God and the church. That covenant calls us to service. It is this theme of service and mutual sharing that is found in the message. The church is seen as people -- not as buildings. The sermon/message is written in poetic form and may be presented in dialogue fashion using three voices or many voices. Carl B. Rife is pastor of Grace United Methodist Church in Baltimore, Maryland. He is a graduate of Lebanon Valley College, Annville, Pennsylvania, and United Theological Seminary, Dayton, Ohio. He received his Doctor of Ministry degree in 1973 from Wesley Theological Seminary in Washington DC. Dr. Rife has also taken graduate courses at Lutheran Theological Seminary, Gettysburg, Pennsylvania. Carolyn Bishop is the Director of Program at Grace United Methodist Church in Baltimore and Assistant Professor at Towson State University and Essex Community College. She received her BS degree from New Jersey State College and her MRE from Eastern Baptist Theological Seminary in Philadelphia. Ms. Bishop has served as a teacher in the public schools of New Jersey and as Director of Christian Education in several churches.